BINGHAMTON, NY – It's high time the United States elected the first woman president, and Hillary Clinton's ability to handle global and domestic issues makes her most qualified to do the job, according to a new book edited by Dinesh Sharma, associate research professor at the Institute for Global Cultural Studies, Binghamton University, State University of New York. In The Global Hillary, published by Routledge (Taylor & Francis Group), Sharma suggests that as a leading advocate of "smart power" — that is, combining America's 'hard' military power and 'soft' cultural power — Clinton is arguably poised to tackle America's global challenges than other candidates. "America is an exceptional nation in many ways, but when it comes to electing a woman president, America is really an exception to the rule," said Sharma. "In a lot of places in the world — including Europe, Africa, Asia, Scandinavian countries, and even in Latin America — female heads of state have already been elected. The United States is the oldest constitutional democracy and gave women the right to vote 100 years ago; the fact that it hasn't succeeded in electing a woman to the executive office raises some concerns." The Global Hillary critically analyzes Clinton's role as a transformative leader of global influence by bringing together two key aspects of Clinton's ongoing career — her advocacy for international women's rights and the mission to foster democratic development around the world. 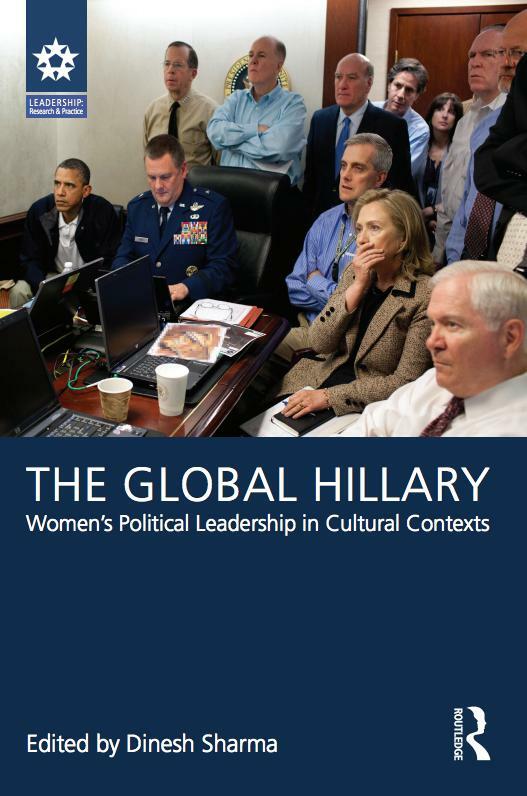 "This book about Hillary Clinton's global image — former First Lady, U.S. Senator and Secretary of State — is as much about the changing nature of American life as it is about the American narrative that has remained fixed," said Sharma. "America still represents a revolutionary idea — a nation founded by a band of rebellious brothers on the principles of freedom and equality. Americans are still holding out the promise of liberty, a torch held high for the rest of the world, trying to shape the world in their own image." Featuring a diverse set of essays, the collection provides insight into Clinton's leadership style, particularly, her use of American "smart power" in foreign policy, while examining her impact on the continuing universal struggle for women's rights. "We're focused on the so-called Hillary Doctrine. She believes in combining hard power (military, economics) with soft, cultural power (media, innovation, education) and enhancing women's and girls' lives around the world," said Sharma. "She's a big advocate of using smart power around the world to win over people through diplomacy, and to build a better world, and improve America's image." Sharma's current classes are focused on human rights, globalization, leadership and the UN. In addition, Sharma teaches about global leadership and the UN at Fordham University at Lincoln Center, and has authored and edited several books, including The Global Obama (2014) and Barack Obama in Hawai'i and Indonesia (2012).